Home Animal Health Did someone say summer? Well it has been a while since I did a blog and as I write I have two guests playing in my lounge with one of my Newfoundlands such is life here now, it is often full of variety, and sometimes I wonder if I will ever catch up! Winter is showing signs of leaving and the days are growing longer which will make more “picnic in the parks” possible with our guests having dinner outside in the evening and daylight savings is not too far off so it will happen more often. It has been a hard winter with lots of rain that I was sure would never go, and we lost our pet lamb Pinky. It has been a busy time though with plenty of Staycation guests to keep me on my toes, some short-term, and some long term, and we have had our first few visitors come and use the dog park in the weekends which has been lovely. 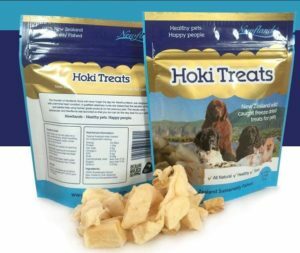 We have a few clients moving overseas with their fur babies and we also have awesome new packaging for our Hoki treats. 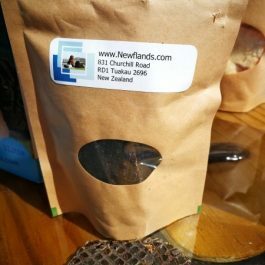 Our Hoki treats have been around for a little while and I have wanted to have them in good packaging and finally, we have it – it has taken a lot longer than expected as does anything when it is special. 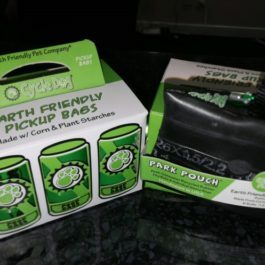 The treats are cubed and freeze-dried so they have a long shelf life as long as the packaging remains undamaged. They are great for cats and dogs and people are really enjoying seeing their pets get treats they know are healthy and so won’t encourage extra weight gain. We have seen some dogs who were on diets swap out their treats for ours and they have succeeded in removing the excess weight which has been requested by their vets for their health and they loved the Hoki so much they haven’t gone back to their old treats! The Hoki treats are a great way of giving fish naturally without having to have a full wet fillet in your hands. I have had several dog trainers comment on how great they are when they work dogs and how well loved by the dogs they are and how easy they are to pop in your training pouch and easily reward the efforts offered. 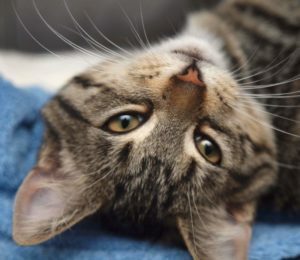 Hoki is known for having very high Omega level and for this reason it is very good for your furbaby whether ageing or growing it helps with the changes the body makes throughout its life-cycle. Omega’s help support the immune system which in turn helps to keep inflammation at bay. Inflammation can cause arthritis to hurt thus making your pet’s movement uncomfortable, it can also create an itchy skin so increasing your pets. Omegas will help give them a better quality of life. With older dogs, we notice increased tear production which helps with aging eye issues. 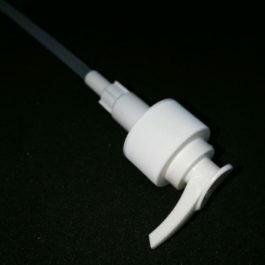 Often when feeding Omegas, you do not notice their effects until a while after you have stopped because they do run out a bit like a gas tank and need topping up. If you want to top up quickly doing a double dose for the first week or two will help this. 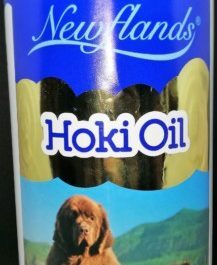 The most concentrated form of omegas is the Hoki oil which is very easily pumped over your fur baby’s meals. Check out our Hoki in the shop and follow us on the social sites to keep up to date with our summer outings we have planned. Please feel free to contact us as we love to hear from you with your stories. cats, cats and dogs, dogs, Hoki, Newflands, Treats. Bookmark.